I always crack up at those chewing gum commercials that ask, “Feeling dirty?” And their answer to cleaning up is to pop a piece of gum in your mouth. Sparkling teeth, yes. But do I want a sparkling clean body? No, not so much. So how about getting an all-over clean feeling with a little homemade body wash? I swear it’s simple, not nearly as simple as popping in a piece of gum, but the results will surely make you more presentable. If you have simplified your personal products, you’re probably wondering why a bar of soap won’t cut it. It will. But some of us just like a little something we can squirt on a washrag or a bath pouf to scrub-a-dub-dub with. 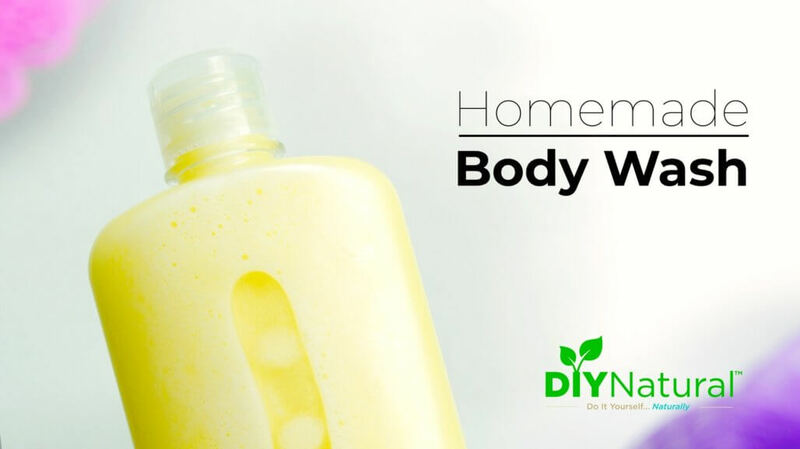 Furthermore, and it takes only a few minutes to make this liquid DIY body wash. In contrast, a batch of homemade bar soap takes much more time to make! With this combination of ingredients, this moisturizing homemade body wash is gentle enough to use on your face, and also makes a rich lathering shave soap. Because of this, on a recent camping trip, I used it as a facial cleanser, body wash, and shaving foam. So, it really cut down on the number of toiletries I had to pack! Measure out all ingredients and combine in a bottle with a squirt top, shaking to mix. Shake gently before each use. 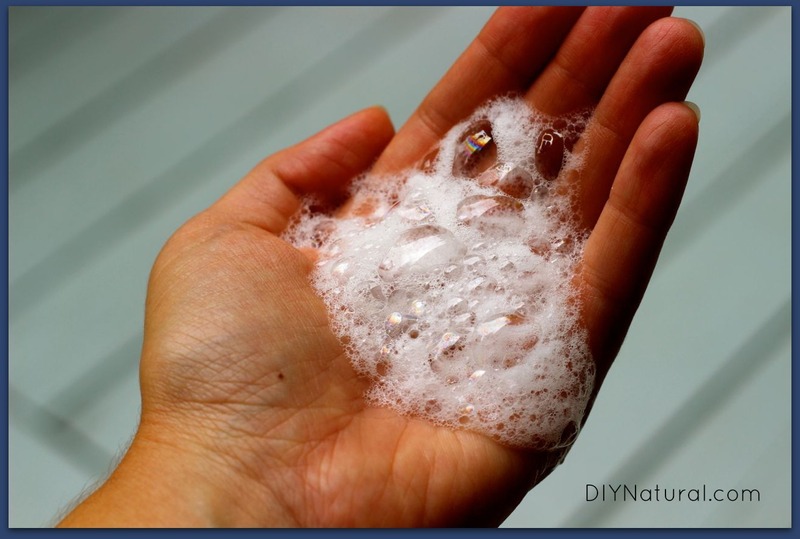 To use, squirt onto a washcloth, bath pouf, or directly onto body. If your raw honey is creamy and thick, warm it a bit to liquefy before combining with other ingredients. This will allow for thorough mixing of ingredients. When making your DIY body wash, keep your particular skin type in mind and find a scent you enjoy. If you’re using this body wash for your baby, you may want to omit the essential oils altogether, or just add a few drops of chamomile or lavender essential oil. Also, if children will be using the homemade body wash, use half the suggested amount of essential oils. Great for dry and sensitive skin, acne, eczema, and dermatitis. Great for oily complexions, acne, mature skin, eczema, dermatitis, and other problematic skin conditions. It also brightens and revitalizes dull skin. A great addition to your homemade body wash. Very gentle and good for all skin types, including very sensitive skin. Perfect for mature skin, acne, eczema, and psoriasis. Effective at soothing itchy skin. Stimulates new cell growth, moisturizes skin, and regulates oil production. 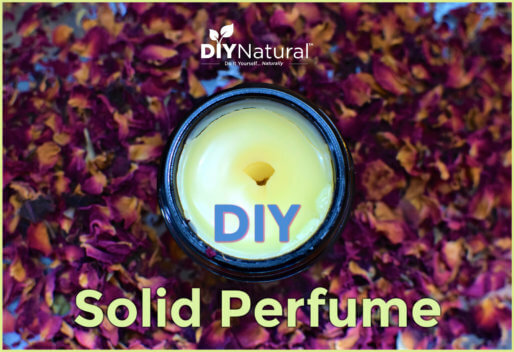 This makes it a valuable essential oil for use in this homemade body wash or any DIY skin products. Antimicrobial, astringent, fungicidal, and deodorant. Great for acne, cracked and chapped skin, eczema, oily skin, and mature skin. Useful for acne, dry, cracked and chapped skin. Also great for wrinkles and mature skin. One of the only citrus essential oils that are not phototoxic, sweet orange is helpful for dull or oily skin. And how doesn’t love the smell of citrus in their homemade body wash? This antibacterial oil can be nicely blended with others like lavender and peppermint. 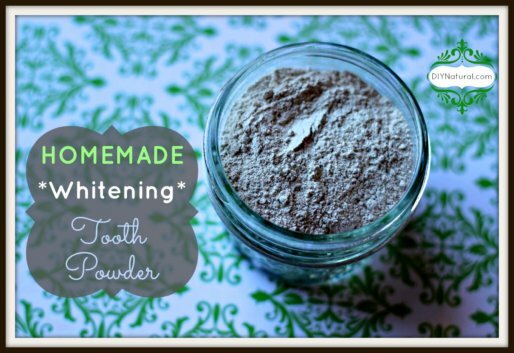 Can be useful for acne, oily skin, rashes, and inflamed skin. Using too much may actually create a drying effect so you may need to experiment a little to find the right amount for your skin. 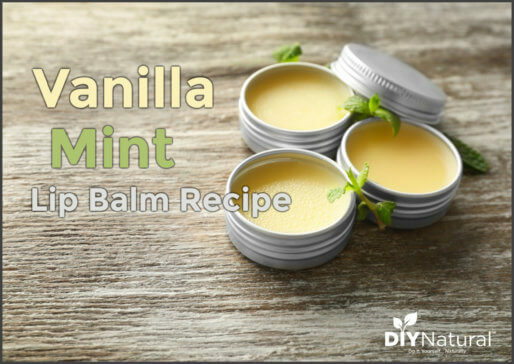 Don’t limit yourself to the essential oils or ingredients recommended in this recipe. Experiment with your favorite ingredients, and let us know how it turns out! Have you ever made homemade body wash, what’s your favorite recipe? This post has supplied me a few great concepts for my new blog. It’s always wonderful to come across decent information that inspires new concepts, thanks. Can you please tell me about shelf life for EOs. Will that work just as good or not quit as good? I absolutely LOVE this body wash! It feels so luxurious, my skin is baby soft and I feel so refreshed and clean. I made it with argan & jojoba oils and used lavender, chamomile & geranium EOs. Thank you for yet another wonderful recipe for us who are trying to eliminate chemicals from our lives. Love your blog, posts and recipes – wishing your family peace and happiness. I followed this recipe and absolutely love it!! My skin just loves it. Thank you for the great recipe. Your website is my go to for almost everything. That’s awesome, Myers! Glad you love it, and thanks so much for taking the time to let us know! “…why a bar of soap won’t cut it.” Taking a bottle of liquid body soap to the gym is much simpler and cleaner. Heads up to those with pores that clog easily: liquid castile soap usually contains coconut oil, which is comedogenic. Thanks for your comment. When coconut oil is an ingredient in soap it is saponified, and therefore turned into soap. It is no longer in its pure, comedogenic state once saponified, and won’t clog pores like pure coconut oil can if applied to skin. Can I substitute the Castile Soup for something else? I’m Brazilian and I couldn’t find it here. I would love to do some soup and shampoo but it seems like all the recipes need it! I made this today. Wow! I will never buy body wash again, I loved it. I went very simple with the essential oils and did 30 drops grapefruit and 30 drops rose. My skin feels incredible and I loved the scent. Ok I’ve got all my ingredients but I need help figuring out how much EO to use and if they pair well together. I’m very new at this. I would like to use grapefruit, a little rosemary and geranium EO. Or grapefruit, rosemary, and rose. How much if each if I want a more citrus floral smell? Great question Laura. If I want to make sure certain EOs go well together, I’ll put a few drops of each into a small glass bowl or vial, swirl to combine, and sniff. This way you can see what the resulting scent is without wasting too much. If you don’t like it at first, continue adding more of the different oils until it’s what you want, swirling and sniffing after each addition. Keep track of how much of each oil you use though – that way you can duplicate the same scent again and you’ll have the correct proportions documented. I just made this yesterday. I did not have Vitamin E so I used jojoba instead. I used it this morning in the shower and a little bit surely goes a long way! Just wanted to say that I made this yesterday and really like it. I have been using a different recipe for body wash that I really like due to its consistency (it doesn’t foam up as much as I would like though, like this one does). However, have you tried thickening it with anything? I would love for a thicker consistency. I have not tried thickening it with anything, but you surely can! Okay, I have Steric Acid on hand but that gets tricky, considering you have to do the “leave the top off the blender and dump the hot steric acid in while it is going” thing. Therefore I have been playing with the idea of chunking out for guar gum. Do you know anything about it? I have heard nothing but good things and it is supposed to take very little to thicken things. I really can’t be of much help on the thickening issue. I like to add as few ingredients as possible to my recipes, so I don’t use thickeners. Sorry! Heating honey above 95 degrees Fahrenheit will start to kill some of the beneficial properties. It’s totally okay! The body wash is great as it but I like a thicker body wash (just a texture thing) so was curious. Thank-you for the bit about the honey though, quite helpful to have an actual temperature. How long will this last with out going bad? I have a large family and would rather not make this every few days. Would this be appropriate for young kids? I also have a teenage boy, is there a “manly” oil that I can add to his? Since this recipe does not call for water the body wash has a very long shelf life – about a year. It’s appropriate for young kids, but you’ll want to decrease the amount of essential oils you use because their skin can be a little more sensitive. Some good oils for your teen boy include vetiver (my favorite for a “manly” scent – and also great for oily skin or acne), sandalwood, patchouli, bergamot, rosemary/tea tree, or whatever he likes. Hope you like this body wash! Yay! Glad it was a winner for you! OK, you knew this would happen. Someone would have to ask, it might as well be me. (; Where did you get the Amber body wash bottle? Is it glass? Was it leftover from a store bought product. If so, what one? The picture just looks amazing and I feel I must have a matching bottle to go with your amazing recipe. (: Please enlighten me! Ha! I used to feel the same way when I saw recipes online, and had to search high and low for identical containers to store things in. 😉 I get amber and cobalt plastic squirt bottles (and you choose caps seperately) from http://www.specialtybottle.com. They have just about any kind of glass or plastic container you can imagine. Hope you like the body wash! I’m a vegan who won’t buy or use honey. Is there something I could use instead? Could I omit it altogether? Jessica – you can omit the honey altogether. However, castile soap alone can be a little drying, so you may want to add a little extra oil, possibly increase the Vitamin E oil a bit, and vegetable glycerin can also be added for an extra moisturizing effect. I have everything but the oil – can I use avocado oil instead? Absolutely Sarah! That would be a great oil to use. I am going to try this today if I can find the Castile soap! However I use young living essential oils and may have to cut those in half that brand seems so much more powerful than other essentials also where can I find a good source of raw honey in bulk we will need a lot of body wash! Carrie, large chains like Target and WalMart have begun carrying Dr. Bronner’s liquid castile soap near their natural bath products. You could also check a health food store if you have one locally. Your best bet on finding raw honey in bulk is to check localharvest.com for a beekeeper near you who is willing to sell large amounts. We have also found large buckets of it at Amish bulk stores. Have fun making your body wash! Isnt 50-60 drops of essential oil way too much for 8oz? I can see if you were making several gallons. Its so concentrated….that much in 8oz could even be dangerous..
Not necessarily. Have you seen recipes for homemade insect repellent? You need much more than 50-60 drops in 8oz. to make an effective repellent (which sits on your skin and is reapplied often). It’s also no more concentrated than getting a massage with diluted EOs. (Usually several drops to each TBSP of oil.) Some of the oils I listed can safely be applied to skin neat (undiluted). I purposely researched and suggested essential oils that are not known to have any safety concerns or cause skin irritation for most people. Additionally, this is being washed off the skin. However, if you feel like this is too concentrated, I encourage you to use only what you’re comfortable with. Thanks for asking this Dawn! Can I use fractionated coconut oil for the oil? Everybody always gives examples of oils ,but nobody mentions FCO is it okay to use? I love using Argan oil in place of any needed oils, nowadays…..the real Argan oil can be pricy, but oh so rich and soft…totally worth it!! Wow! You had me at the word HONEY (OR hunny as Pooh spells it). I recently started using raw honey as my preferred facial cleanser and as a shampoo. I totally love using natural things and not having to mix up things. But I might give your recipe a try. I do make my own deoderent and we currently use Dr. Bronner’s Castile almond bar soap for body. My husband and children use it as shampoo too. Thanks so much for such a luscious recipe! I have been looking for some time for just the right body wash recipe,and I think this one is it. My husband really likes the benefits of this body wash. He didn’t even need deodorant all day (and he works a physically active job), but he doesn’t like the consistency. Is there a way to thicken it? Do the oils and honey in this recipe make the bathtub or shower slippery? Have had issues before. Great question Colleen! The answer is no – the shower will not be slippery at all after using this body wash since it’s very sudsy. Love your recipes but I like to use fresh herbs Could fresh herbs be used in this recipe as a substitute for the essential oils? Absolutely Sharon! You could make an herbal oil infusion with the herb of your choice, then use the oil infusion in place of the 2 teaspoons of plain oil the recipe calls for. Perfect timing–this is just what I needed. I’ve been playing “mad scientist”, too, and have been experimenting with making body wash. I had three of your five ingredients, but not the jojoba oil or the raw honey. I think that adding those two items will give the results I’ve been trying for. Thanks so much! Is there anything I can use to substitute for the Vit E? Vegetable Glycerin perhaps? Or would it be ok to just omit it? Sure Brigette, you can just omit the Vitamin E. Vegetable glycerin does not have the same antioxidant properties, although it will help soften skin. Would this work as a shampoo for hair as well? Jeni, I’m no expert but this recipe looks very much like the one I use for hair shampoo **with the exception of the 2 tsp. of oil** – so if you take that out you should have a nice shampoo! I use sweet orange essential oil in mine and along with the raw honey it smells yummy! Yes, this could work as a shampoo. However, castile-based shampoo tends to work better in normal or hard water. If you have very soft water I would not recommend it. Thanks for the recipe! I’ve been dragging my feet on buying more face wash because it’s either full of chemicals or super pricey. This summer heat and my pregnancy combined are working against my face, though, so it’s time I do something! I love the smell of chamomile, I can’t wait to try this out. I especially appreciate that you noted the shelf life! Question, do you HAVE to use ORGANIC carrier oils or can you use the regular ones? Like the sweet almond, jojoba, grapeseed, etc.? I’m on a strict budget and the difference in price is pretty substantial (I’m going to order them from MRH like you suggest), so I was just wondering. Thanks so much. Love your posts! We always tell people to use whatever they’re comfortable with. I am in the transition process and would like to know if you could recommend some safe plastic bottles for shower soap, shampoo etc. Thank you! Mountain Rose Herbs sells them here. This link isn’t working–it doesn’t go to MRH. Is there any reason why I couldn’t use this as a face wash as well? I am currently making your face wash & have been using it as a body wash as well, but I find myself using it up so fast. I don’t want to make too large of a quantity because I don’t want it to go bad so I’m making face wash once & sometimes twice a week. If I could make a larger quantity of the body wash & use for both face & body that would be great! I love your all of your tips & recipes. Slowly but surely I am implementing them one at a time in my house. Keep up the good work. I know I really appreciate it! The article states you can use it as a face wash or even a shaving soap.